As outlined in the agreement, testing happens during project development before going live, but sometimes small bugs or mistakes make it through unnoticed by either the client or developer. We fix any mistakes or bugs for 2 weeks from the go live date. This includes spelling mistakes, broken links and broken functionality. Any issues with the website that are required to be fixed after this warranty period falls under our standard work agreement. (a) If a client contacts Choc Chip Digital (CCD) with a digital issue that needs resolving, CCD will seek to understand the nature and cause of the issue. If CCD understands the cause of the issue without investigation, and l can fix this issue in under 15 min, CCD will reserve the right to offer the completion of this work for free, as an act of good faith. If CCD does not understand the nature or cause of the issue, with the client’s permission CCD will investigate the issue at an Investigation Fee of $70 + gst per 30mins. (b) If CCD discovers the issue and identifies this issue as being caused by CCD internal actions within the last 30 days CCD will fix the issue for free and will not send the invoice for the Investigation Fee ($70 + gst per 30 minutes). (c) If CCD discovers the issue and it is identified that the issue was caused by external factors CCD we will then call the client, presenting a quote for fixing the issue along with a timeframe for when the issue will be fixed. This quote will include the Investigation Fee as a line item. (d) If the quote is agreed upon CCD will fix the issue within the time frame and send the invoice upon completion of the work. Note that the invoice will be payable upon receipt. If the quote is not agreed upon CCD will only send the invoice for the Investigation Fee. 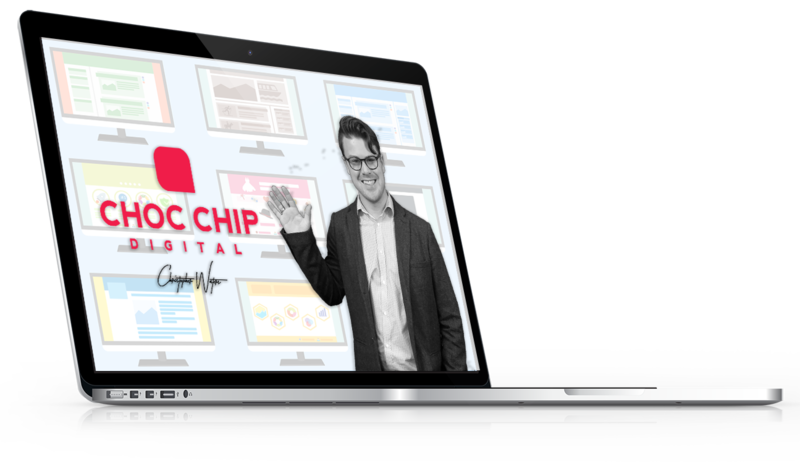 Choc Chip Digital will allow 1 free 15min website issue fix per two months. Additional issues after this quota has been reached will follow the Standard Work Agreement. An internal action are limited to Choc Chip Digital changing the clients website hosting environment, changing the website, updating site plugins or changing clients email configurations. External factors include, but are not limited to, changes to browsers, actions of the client, changing of internet standards, external service and API’s, clients changing hosting environments.